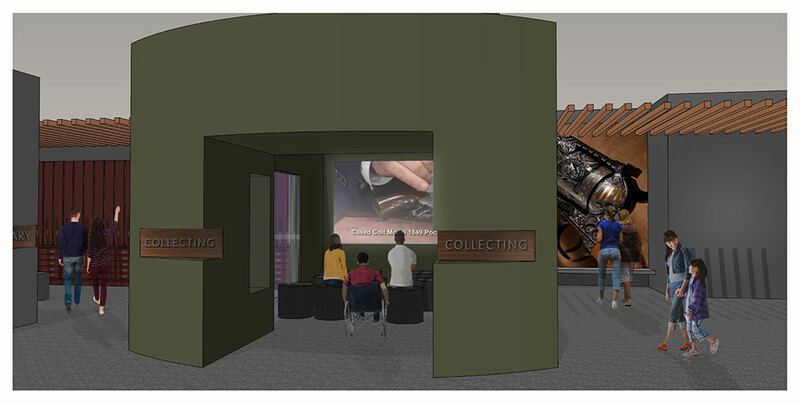 Our Cody Firearms Museum is undergoing a full renovation! 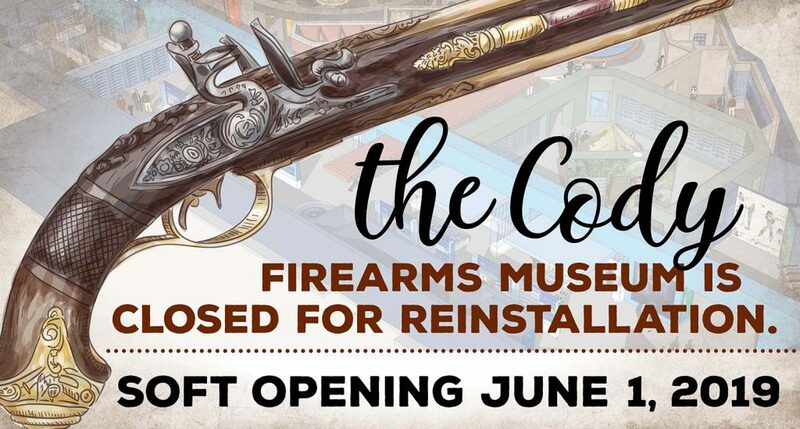 NOTE: The Cody Firearms Museum is in the final stages of the renovation: the reinstallation of our firearms collection in the completely redesigned Cody Firearms Museum. The soft opening date for the new museum is June 1, 2019, with a Grand Opening celebration on Saturday, July 6. Are you a veteran or active military? Click here to learn more about and participate in our CFM Veteran VIP Experience on July 5. Join us for the GRAND OPENING on July 6. While the Cody Firearms Museum of course houses most of the firearms in the Center of the West’s collection, each of the other museums of the Center also include firearms. While the museum undergoes renovation, we invite visitors to journey throughout the entire facility to see both permanent as well as additional temporary installations of guns. 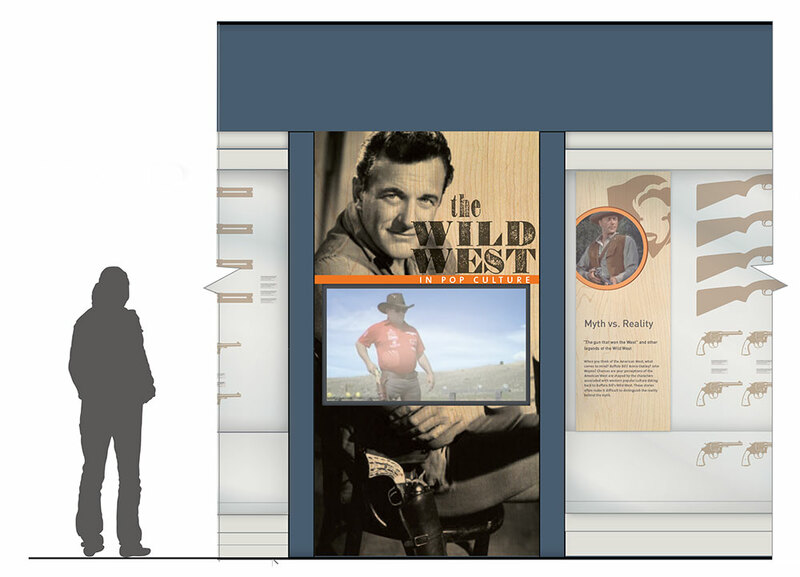 Visitors will also want to take advantage of touch screens that allow you to view the entire collection online, and even digitally curate your own exhibit! So, if you are traveling to the Center sometime this spring and were planning to visit the firearms museum as part of your visit, please be patient. 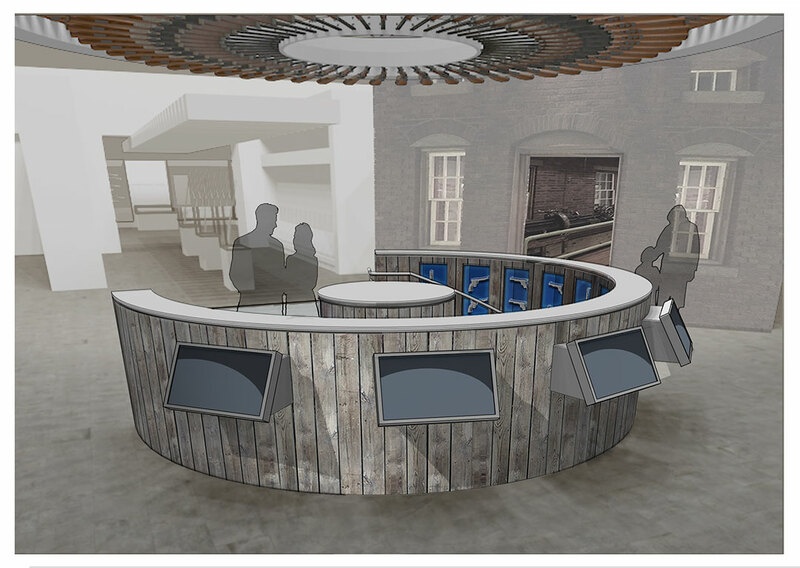 We are excited to complete the renovation and share the completely new Cody Firearms Museum when it reopens in this summer! To help you locate the firearms displayed in our other museums, our Firearms Museum staff has published this finding guide. Use it here to plan your visit ahead of time, and pick up a printed copy upon your arrival at the Center. Curator Ashley Hlebinsky and Assistant Curator Danny Michael are keeping everyone informed of the plans, progress, trials, and triumphs of the renovation process on their Facebook page. Stay up-to-date on the happenings as they share the hard work that is going into the renovation through social media! Part of the Firearms 101 section. 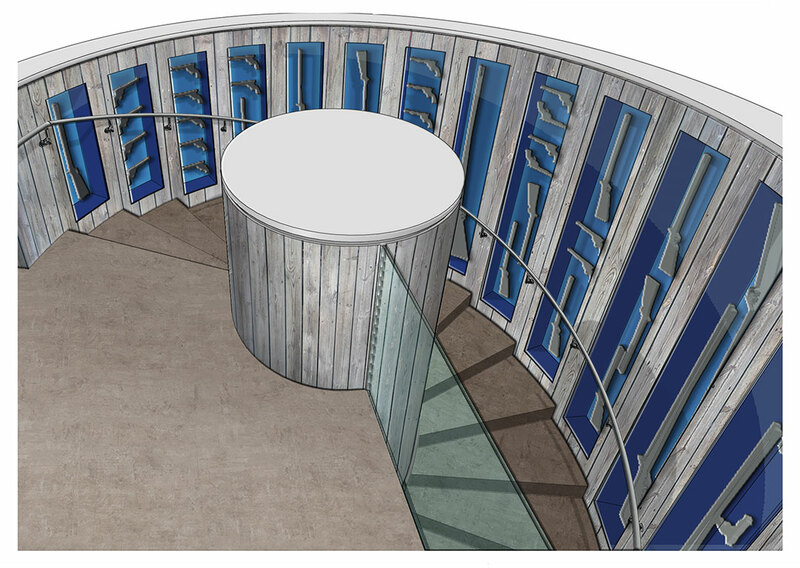 Design drawing by Gallagher & Associates. Looking into the theater space. Design drawing by Gallagher & Associates. Pop Culture in the West section of the Story of the West section. Design drawing by Gallagher & Associates. Embellishment and engraving sections of Art of Firearms. Design drawing by Gallagher & Associates. Upper level landing of spiral stairs. Design drawing by Gallagher & Associates. Spiral stairs to lower level. Design drawing by Gallagher & Associates. All design images courtesy Gallagher & Associates.